current house is good to go and has a closing date of sept. 8. the only thing the buyer wanted fixed was the window latch in the bedroom, which i totally forgot about but knew needed to be fixed. i went to the andersen window website and bought a replacement latch for $20, and it’s now good as new. not so good that i’m going to not move, but good enough for the new guy. i’ve been trying to pack, but my ambition has been pretty nil lately. sept. 8 will close in quickly, so i’d better get some ambition pretty quick. future house (!!!) has just had the inspection contingency taken off; the only thing we wanted fixed was the screen door out to the patio (it’s all scratched up due to their dog). other than that, it’ll be good to go. i’m excited to live on that property and in that log home plan feel living room with the fireplace. (yes! fireplace!) so, that means i have to find more ambition to pack because i need to move all my stuff over there. ugh. ambition, why you gotta be so elusive. my garden is so sad looking. i have tomatoes up the wazoo, and the cucumbers are sort of trying to grow something, i think. my gourds are going nuts, and that’s only because i just let them go. otherwise, it’s pretty weedy and gross and i’m sad it got to this point. i’m guessing i’ll be able to make one batch of pickles and some tomato sauce. maybe there will be one pumpkin for halloween, and i hope there will be some pie pumpkins. we’ll see what happens i guess. booo. BUT. there’s always next year, when i will till up a chunk of my yard and make a giant veggie garden. it’ll be staring me in my face so there’ll be no way to ignore it. charlie’s party is in two weeks!! 😮 time flies! next week he and i will have to go to the meat market and pick up the pork for the party, and i’m hoping liz and jane can still make it the friday before to help cook food. better start thinking about a menu, i guess! OLYMPICS. i love the olympics. bob costas. gymnastics. community. all those good-feels. when i took this job, i knew that i would be leaving something i really would miss. i was leaving a job i truly enjoyed, people i really enjoyed working with, and a place i could probably have worked at for a long time. that pesky sense of place though. knowing what i’m doing. ok, granted, this job was a MUCH easier transition than any of my other jobs. it is almost the same job in the same kind of institution. it was a smooth transition. but there are little differences and processes that are different that make me do a double take. baked goods! i have yet to bring in baked goods for the few people near me, but i hope they go over well. ok, i’ve got to stop writing this list or else i’m going to get depressed. and so i enter my 38th summer. what are my summer vacation plans? despite the upheaval, i want to be able to relax. i feel like i’ve been running around to no real end for the past month, and i’d like to have a moment to just be a normal weekend person for a bit. (my weeks will pretty much be upheaval; i realize that much). after my deck is finished, i’m hoping that this will be able just be a thing. i want a little peace. despite the upheaval, i want my garden to be a thing. so far, so good. my tomatoes are in, the peppers are in, cucumbers, dill, basil, and cilantro planted. this weekend i’m renting a tiller, and charlie and i are finishing up the back forty with sunflowers, and i’ve got to get the green beans in the ground. then some zinnias here and there. i still want to see things grow. despite the upheaval, i still love summer. i will take advantage of the warmth and the daylight and the greenery and the flowers and the growth and the frogs croaking and the birds chirping away. not the junebugs though. those things can die in a fire. despite the upheaval, i want MORE upheaval and someone to buy my house down south so i can commence the living like normal up northerly. it will be work, but it will be worth it. today i was visiting charlie, and the RN came in just as i was about to leave and announced that he was going to be released tomorrow! woo! keep that helmet on, boy! his jaw still hurts when he chews. will this go away with time? will his face figure itself out when the doc does surgery to fix his face bones? …and then running to my house when he needs a break! we’re taking a break from the charlie posts for a night because a) life update bullet time and b) i can’t think of anything charlie-related at the moment, and bedtime is fast approaching. thanksgiving is NEXT WEEK. how did that happen. this is my time to shine, and this year’s t-day may be a mess due to unforeseen circumstances (pregnancy, cancer, head injuries). at the same time, it all just might work out. and if we eat food on friday or saturday, that’s fine too. COME TO ME, SPATCHCOCK TURKEY. apparently i can’t print from photoshop with my new printer. i think that’s weird. photos print great from iphoto, but it has lines in it when i print from pshop. what gives, adobe/canon? i have to get everything completely out of my garden tomorrow. i think it’s finally going to decide to be winter-ish around these parts. i still have some leeks, onions, and carrots hanging out in my backyard. HALF MARATHON. yes. you heard that right. next may, liz and i will attempt a HALF MARATHON. i have 6 months. i think i can do this. i could write about 50 shades of grey, but i didn’t read the books and don’t plan on seeing the movie, so i really can’t have an opinion. i could write about my bedroom makeover, but it’s not done yet so i don’t want to spoil the surprise. i could write about the ice cream waiting to be churned in my fridge, but i’ve written too much about ice cream already. i could write about a fancy pants mythical fairy tale land filled with princesses and evil unicorns and midgets who hide coins under mushrooms, but i don’t want to delve into that. i could write about the fantastic book i’m reading right now, but i’m going to wait and write a full review when i’m finished. i could write about how charlie is ruining my home life, but he’s really not, so that’s a libel suite waiting to happen. i could write about the measles outbreak, but i really don’t want to contribute to an already saturated blogosphere on that. i could write about how people don’t know how to use a stupid search bar on a website, but i’m still annoyed about that and it would not end well. i could write about the keystone pipeline, but that would require a lot of research i really am not in the mood for right now. i could write about how kevin sorbo’s going to be at wizard world in may! yeah! so that’s happening! i get a daily calendar for work, and this past year i picked up a “forgotten english” one, which had words every day that have gone out of use. 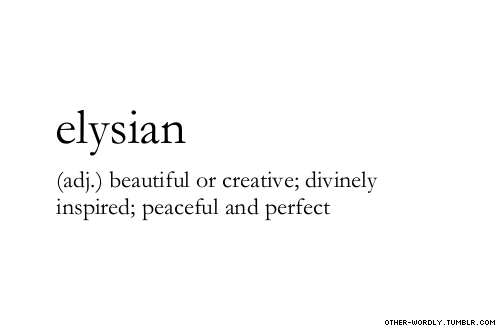 i was in search of the perfect word i thought needed to be used regularly again. i saw it, loved it, forgot to write it down. (good grief.) i might have found it? eargh: superstitiously afraid. eerie is derived from it. well, christmas movie viewing season is in full swing. i ended up delaying a little bit, and now i’m slashing a couple so i can get them all in on time. whoops! elf – watched this right after thanksgiving, and it was great. i love the end of this one!! rudolph went down with a hitch – great bouncing icebergs! the santa clause – i like judy. home alone – i like the old guy killer. 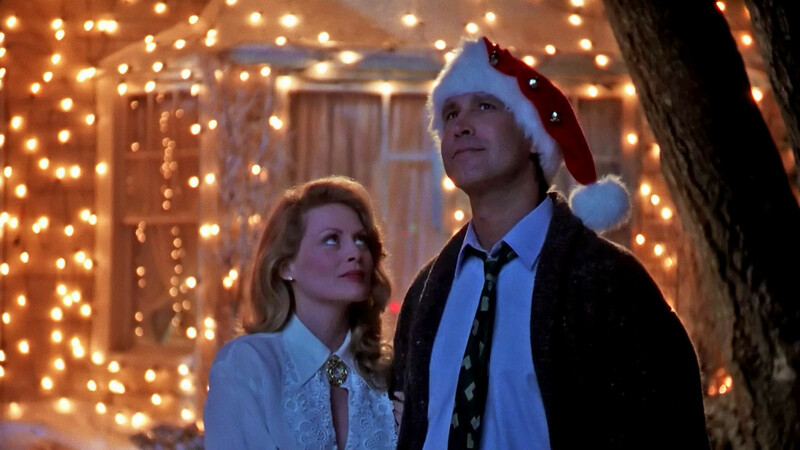 national lampoon christmas vacation – i rented this one with charlie so he could say he’s seen it. funny as always! love actually – looooove this one!! the jamie/aurelia story is my favorite. bad santa – ok, i just watched this because it was on netflix. first time for it. wasn’t that impressed, but it might have something to do with the fact that i can’t decide if billy bob thornton is good looking or ugly. i can’t decide what parts he should be playing…. watched muppet christmas carol tonight, which is always a fun. tomorrow is charlie brown christmas and maybe it’s a wonderful life. i have stuff going on tuesday night and then wednesday is christmas eve, so the time is now! 1. i am going to be published in rochester women’s magazine! how exciting. i submitted a version of my pumpkin pie thanksgiving story. i’m hoping anything out there will be better than nothing. i’m really hoping someone offers me money to write for them. 2. if you want to start yoga, i highly recommend fightmaster yoga on youtube. the instructor has the most soothing voice for yoga, and the time flies by – namaste. she has beginner, intermediate, and yoga specifically for weight loss, certain poses, etc. she has a ton of videos. that was my problem previously with yoga: i was doing the same thing over and over. a little variation helps a ton! i do it without a mat on my living room carpet; so far it’s been working. my core is definitely getting the workout it was missing. 3. mn blogger conference this weekend! i was going to go just for me, but after looking at the schedule and talking to my coworker, it’s probably going to be helpful for work, too. so i’m going for work and taking friday off! woo! 4. i gotta carve pumpkins!